News for Week 2 of Feb 2014; the biggest news was the announcement of the planned acquisition of Motorola Mobility by Lenovo. For this week / last week, here are / were the biggest news. 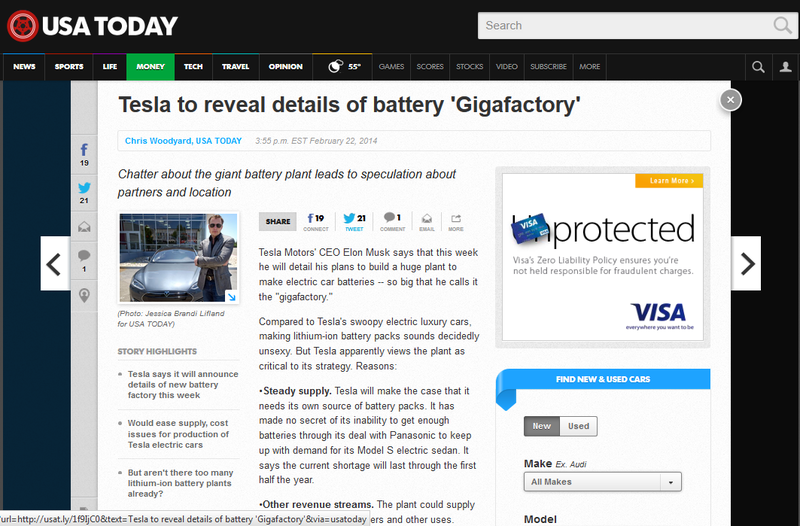 USA Today reported that Tesla Motors has the intention to build a huge plant to make electric car batteries. Tesla is reported to be facing difficulties in getting enough batteries from supplies such as Panasonic to keep up with the demand of its Model S electric sedan. The Stargate Group, Australia’s leading application service provider (ASP) to the mortgage finance sector, has taken its first step toward applying software-defined networking (SDN) to its operations with the deployment of Brocade® NetIron® CER 2000 Ethernet/MPLS routers. Implemented by Brocade partner, Mycom, the new routers are the foundation of a network that handles all traffic to and from more than 2,000 mortgage brokers across the country, enabling Stargate to boost service resiliency, delivery capacity and overall network performance by 40 percent while reducing operational costs. The network has played a vital role in helping the company overcome the limitations of the previous-generation routing platform, which could not support the capacity and performance requirements--or accommodate the Internet’s ever-growing Border Gateway Protocol routing table. As well as having more capacity to scale its services, Stargate also wanted to increase service resiliency to uphold its service level agreements and streamline the network to reduce operational costs. Avaya today unveiled communications solution capabilities that will better support productivity, collaboration and mobility for small and midmarket businesses in Malaysia. The flagship Avaya IP Office 9.0 platform will further streamline the way midmarket companies collaborate and communicate. Businesses will now be empowered with simplified technology and greater collaboration in a highly flexible, single-platform environment that can support from 5 to up to 2,000 users. The capabilities will now enable midmarket businesses with: Simplified, Increased Scale;Virtualization; Simplified Management;Support for Enterprise Branch. 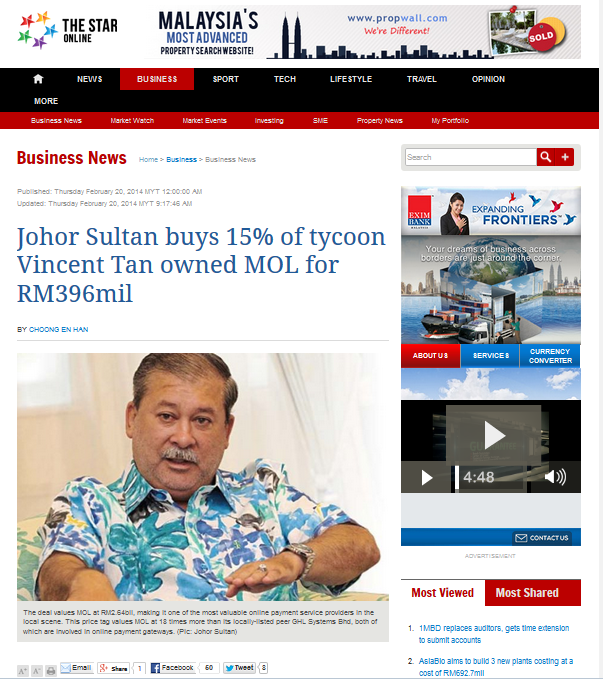 TheStar Online reported that Johor Sultan bought 15% of MOL for RM 396mil. According to the report, MOL was said to be seeking listing on the US Nasdaq market. The latest survey conducted by Enlogic has revealed that data centres in Malaysia and Singapore are being over cooled. In fact a full 82% of respondents were running their data centres at temperatures below the recommended range. This raises energy costs needlessly and also drops the effective PUE of data centres. The survey of 55 data centre professionals, conducted at Datacenter Dynamics in Kuala Lumpur and Singapore, revealed that 82 per cent were running their data centres at temperatures below 25 degrees Celsius. In fact, a full 15 per cent of respondents were running their facilities at even lower temperatures, below 20 degrees Celsius. Today, Transition Systems, a leading value added distributor of innovative networking products and services in South East Asia, announced a new level of commitment for its partnership with F5 Networks through the launch of Agile Distribution to deliver F5’s market leading Application Delivery Networking (ADN) solution to customers in South East Asia. As there is a big challenge for many companies and governments to facilitate the transition of their heritage IT setup from a network to an application centric architecture to ensure secure business operations and reduction of upfront costs, Agile Distribution was set up to address this trend in delivering F5’s ADN solutions to businesses across South East Asia. Headquartered in Singapore, Agile Distribution aims to bring better value and provide more focused resources, support, and enablement services to both its channel partners and their customers. “The social messaging market is growing rapidly, with messaging volumes to reach 69 trillion with subscribers growing to 1.8 billion by the end of 2014 according to Ovum forecasts. An immediate benefit to Facebook in the WhatsApp acquisition is that it has enabled two strong social messaging players to be on the same team. WhatsApp is a force to be reckoned with. It has over 450 million monthly active users worldwide and over 320 million daily active users. It claims to be adding one million new registered accounts per day. WhatsApp is a player which is strong in both mature markets as well as emerging markets across Asia and the Middle East, which present a significant growth opportunity for Facebook. At the same time, Facebook is growing its mobile footprint with close to a billion monthly active mobile users. This makes innovation in mobile services and capabilities an imperative, either organically or by acquiring best in class applications like WhatsApp. With the acquisition Facebook has gained access to WhatsApp’s large repository of phone numbers, which was a missing link for Facebook’s user information. The access to phone numbers now bridges the offline and online worlds of Facebook users. WhatsApp will also enhance Facebook’s mobile strategy and make the service grow faster and be stickier with mobile first users. Facebook will in turn provide WhatsApp with the funds and resources it needs to develop the service and become an even stronger competitor in an increasingly over crowded messaging market. WhatsApp has a small team and has only received a modest investment of US$8 million from Sequoia. I hope WhatsApp will continue with its pursuit to charge user annual modest subscription of $0.99 so that the industry should have a working model and best practice for low costs yearly subscription software. Oracle Corporation, the world's leading IT solution provider, today announced the general availability of its first enterprise performance management (EPM) solution offered in the cloud, Oracle Planning and Budgeting Cloud Service. Oracle Planning and Budgeting Cloud Service opens up opportunities for organizations of all sizes to quickly adopt a world-class planning and budgeting solution with no CAPEX infrastructure investments, flexible deployment options and virtually no learning curve. Global optical networking (ON) spending fell in 4Q13 according global market analyst firm Ovum. Revenues of US$3.5bn were down 5 percent from 3Q13 and 10 percent from the year-ago quarter. The latest market research report by Ovum* found that year-end spending increased in EMEA and South & Central America (SCA) however, were not enough to offset declines in North America and continued softness in China, which contributed to weak Asia-Pacific spending. Market spending continues to fluctuate regionally out of phase by quarter, resulting in sluggish growth on a global level. Vendors with stronger exposure to EMEA and SCA did well this quarter according to global market research firm Ovum. “Cisco recently announced its Evolved Services Platform (ESP), building on the SDN and NFV concepts already incorporated in Cisco’s vision for programmable communications service provider (CSP) networks (Cisco ONE), and the company’s Evolved Programmable Network (EPN) for a virtualized network infrastructure. ESP automates the delivery of virtualized network services using three components: a services broker that acts as the app store; a catalog of virtualized network functions (VNFs) used to implement network services; and an orchestration engine used to automate the configuration of network resources. Cisco released a library of VNFs, along with two initial service modules within the services broker for ESP; a multi-screen Cloud DVR service to boost ARPUs and supported by virtualized Cisco Videoscape VNFs; and a mobile Internet service based on Cisco’s Quantum collection of mobile network services. The introduction of ESP provides evidence of a number of industry-wide changes occurring in service provider networks. First it demonstrates that the SDN and NFV market is beginning to mature; with less focus on the technology details, and more on supporting service provider business needs. Second, it shows how business models are changing with software-centric networks. Cisco is offering ESP VNFs standalone or integrated with Cisco service orchestration. 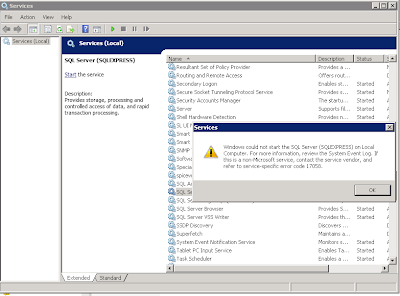 ESP can also be purchased fully integrated into a service provider’s network, or as a cloud-based service. Capillary Technologies, the leading provider of Intelligent CRM solutions that enable retailers to intelligently engage with shoppers across social media, mobile, online and in-store channels, today announced that American Express Ventures has joined Sequoia Capital, Norwest Venture Partners and Qualcomm Ventures as investors in the company. The additional capital will help fuel Capillary’s continued growth as it expands in major markets around the world. 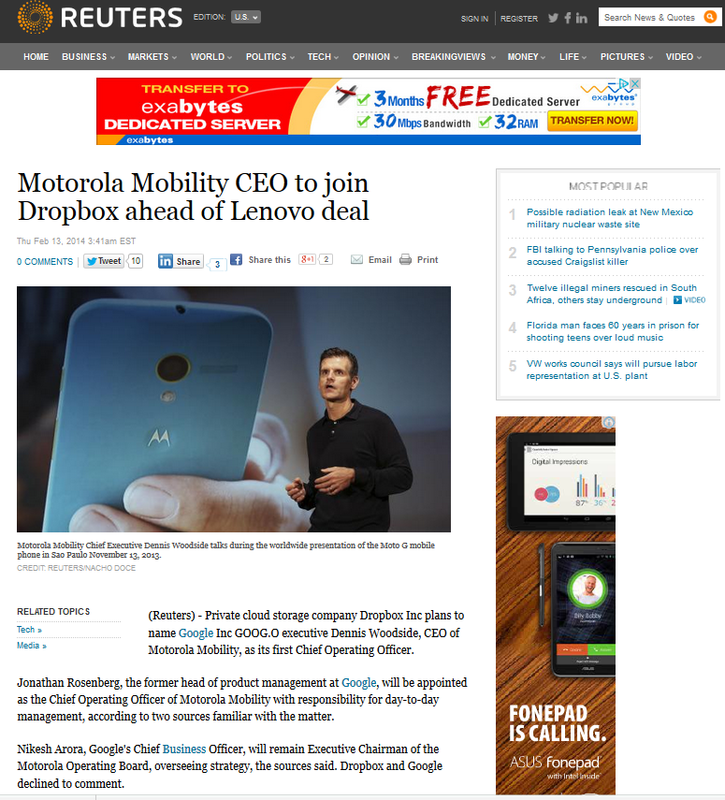 Reuters reported that Motorola Mobility CEO Dennis Woodside may join Dropbox as COO. On Jan 29, 2014, Google's Larry Page made announcement through the official blog that they are selling Motorola Mobility to Levono. Oracle Corporation today announced Oracle Health Sciences will work with Nuance Communications, a leading provider of voice and language understanding solutions and Gold level member of Oracle PartnerNetwork (OPN), to help simplify and accelerate data collection and management for clinical trials through voice-to-text capabilities for web-based apps and mobile devices. Oracle and Nuance expect to work together to integrate Nuance technology with Oracle e-clinical software to help simplify, streamline and speed electronic data capture, mobile data capture and data review by clinical data entry staff, investigators and clinical research associates. Tata Communications announces its financial results for the quarter and nine months ended December 31st 2013. Growth in Q3 was mainly driven by the global data solutions (GDS) business which sustained growth momentum across regions. Ethernet, VPN solutions and managed services continued to be the forerunners and helped global data solutions grow significantly. The Global wholesale voice business delivered stable performance; in-line with its long-term vision of sustainable performance. The much anticipated media launch of The Entrepreneurs‟ Conference TEC2020 by the Malaysian Indian Entrepreneurs Cooperative (KUIMB) took place today at the Istana Hotel, Kuala Lumpur. The media launch was organised with the aim of highlighting the much awaited TEC2020 Conference which will be held at Istana Hotel on the 11th April 2014 and is dubbed: „The Power of Ideas‟. The TEC2020 Conference sets out to harness talent from established entrepreneurs as well as budding ones. The event serves as a platform to bring about revolutionary change in the marketplace where new ideas are applauded and market gap is sought to be filled. Brochure - Details - Photos. The Fibre Channel Industry Association (FCIA) has announced that networking equipment supporting both 128Gbps and 32Gbps should become generally available in 2016 which will enable storage teams to double the performance of their Fibre Channel infrastructure, and Brocade simultaneously announced (U.S. time) that it will ship both speeds of Gen 6 in 2016. Faster storage area networks (SANs) will help enterprises keep up with growing performance pressure from servers and storage arrays. Server virtualization keeps computing infrastructure constantly busy and demanding data, while solid-state disks (SSDs) are able to deliver that data more quickly. To support solid state storage system vendors who have adopted Fibre Channel as the protocol of choice to optimize application performance in enterprise storage area networking (SAN) environments, Brocade announced a new solid state storage system qualification program, along with the support for today’s launch of Gen 6 Fibre Channel by the FCIA. A majority of solid state storage system vendors are now shipping systems with Fibre Channel connectivity including Dell, EMC, HDS, HP, IBM, NetApp. Brocade’s new qualification program, Brocade Solid State Ready, will help ensure seamless interoperability and optimum performance with solid state storage in Brocade SAN fabrics by providing solid state storage system testing for proper operation across multiple fabrics, heterogeneous servers and host bus adapters in Brocade fabrics. Brocade today announced enhancements to its channel partner program, with particular emphasis on SDN, vRouter and Brocade Ethernet fabric provisions for partners.